The biggest flavors come from the smallest farms and tiniest towns. 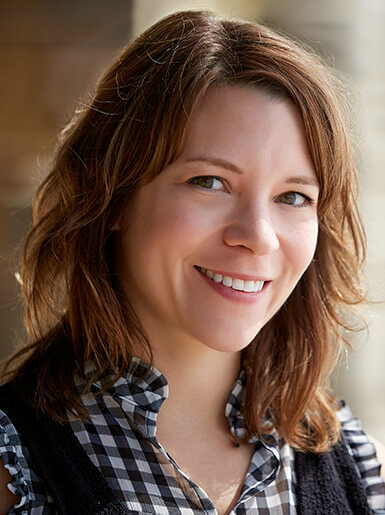 That’s the word from one of Minnesota’s homegrown chefs — cookbook author, Food Network personality and new Hormel Foods brand ambassador Amy Thielen. 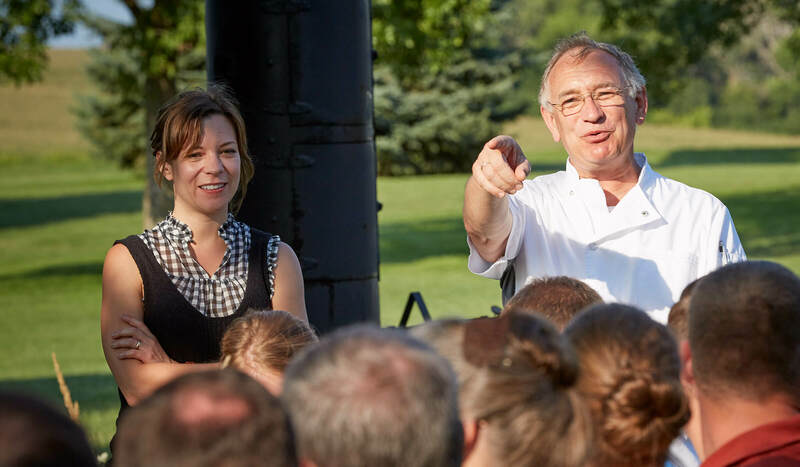 A longtime champion of Midwestern traditional food and lifestyle, Amy grew up in small town Minnesota, just a couple hours from the Hormel Foods headquarters. She was born into a “bacon-making family” of German ancestry, and now she’s become an honorary member of the Hormel Foods family. We’re thrilled to have her. 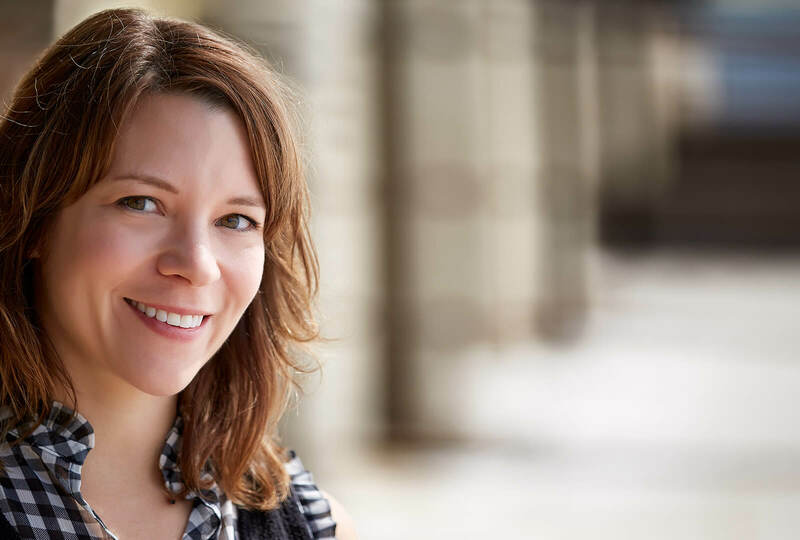 While getting to know Amy, whether by talking to her or reading her work (especially her new memoir “Give a Girl a Knife”), you’re taken into a world where food fads and dietary restrictions do not hold sway. From childhood, she’s eaten as her grandparents ate — following her grandparents’ recipes, in fact. Classic culinary training followed by a 10-year stint in New York’s finest restaurants may have elevated her technique, but it didn’t change the fundamentals. The simple ingredients and family recipes steeped in memories — the open-hearted American rural customs of abundance and hospitality — these are the essential elements of Amy’s cooking, and of her life. 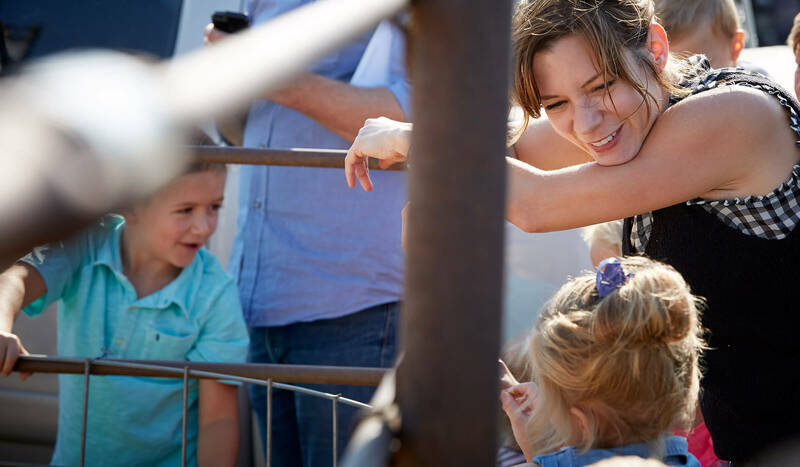 Because, to paraphrase her, American farm food is “a lifestyle, a tradition.” When she has questions about the world, she finds her answer in honest flavors from the farm. So you can get to know her, here are a few of our favorite Amy Thielen quotes We look forward to seeing them in action through various exciting partnerships over the upcoming months. She’s not afraid of fat — good fat. That means avocado, butter, and most certainly animal fat. I eat like my grandmother on the farm taught us all to eat. My grandmother had a coffee can of bacon fat in the refrigerator. Amy grew up on a diet of roast meat, lots of butter and bacon, hand pies cooked over a fire pit, fresh vegetables straight from the garden and her mother’s traditional German baked treats. Today, she’s publicly a strong voice for cooking with bacon fat, as grandmother always did. She was among the first public figures to voice that sugar and carbs are what make people gain weight — not fat itself. She’s very proud to be born into a bacon-raising family. The family she references the most often (besides her grandmother) is her cousins who own “the most famous little meat market and smokehouse in Minnesota.” She promises they have a cult-like following. She doesn’t pretend to have invented Midwestern farm cuisine — merely to have introduced it to new groups of people. From her cabin on a 150-acre piece of wilderness, Amy has become an emissary of rural American cuisine — but not through deconstructing, rarefying or reinventing it. She simply is the public face for a cultural movement that’s seeing people return to the country lifestyle — and the country kitchen. “You move to the country so you can have the time to make dinner,” she summarizes. If she has been part of elevating the status of traditional food, she says it’s by raising awareness of the great ingredients grown here that hadn’t previously been reflected in the greater food culture. She sees parallels between iconic European cuisines and traditional Midwestern farm cooking. She explains that a meticulous level of detail in raising and harvesting and cooking each and every ingredient is a very Midwestern trait. And it’s those details that elevate a food from good to great. 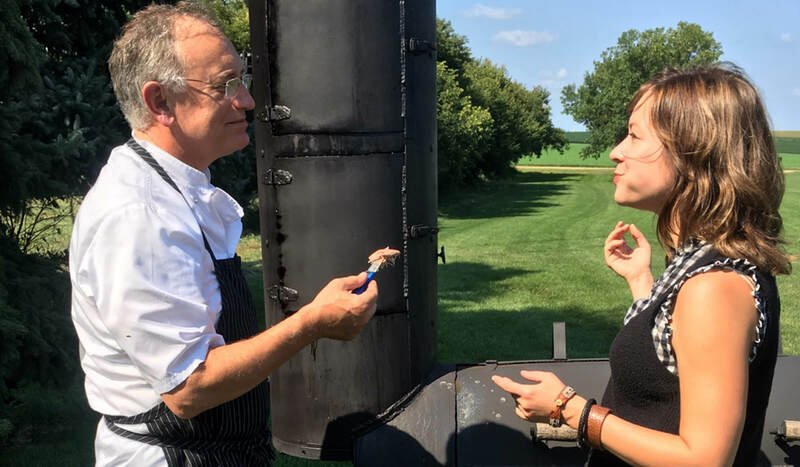 So, instead of using great local products to make displaced European food, she uses them to revamp and elevate the most recognizable and iconic Midwestern recipes. She believes in creating abundance on a frugal budget. In most American towns and cities, if you want authentic homemade preserves, you buy them at a farmers market or gourmet grocery, paying top dollar for a tiny mason jar. But if you do it yourself, it’s not just a cost saver but a way to exercise control over the taste and the quality. Once you get into canning and preserving, she cautions, it does become a habit, and every harvest season comes with guilt that you have to do it or you’re squandering. But in the long term, it’s more fulfilling than having fruit trees that don’t bear fruit at all because you don’t have time to tend the trees. Interesting stories come from both the city and the country. 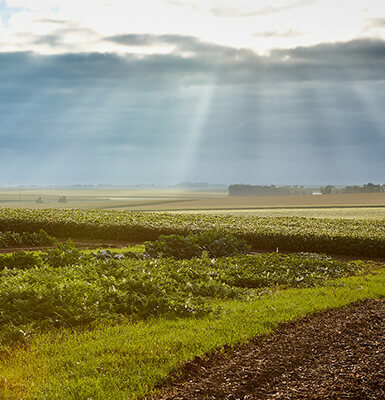 Rural food has an influence on the media and the tastemakers in the city, because that’s where some of the more traditional American foodways come from. Small food becomes big food. While some self-anointed culinary experts may flock to Tulum for a $900 Scandinavian pop-up dinner, Amy is part of a culinary professional niche that finds the greatest inspiration in their own back yard — or back alley. Depending where home is, the best food discovery may originate in a hole-in-the-wall dim sum parlor, or on a family farm two counties over. The common denominator is that tight-knit community dynamic where one person’s humble specialty might become vital within the local identity. She’s a fantastic dinner party host, capable of feeding dozens of friends — just don’t expect anything fancy. In a story for Saveur magazine, Amy introduces city epicureans to the great Minnesota winter tradition of garage parties. 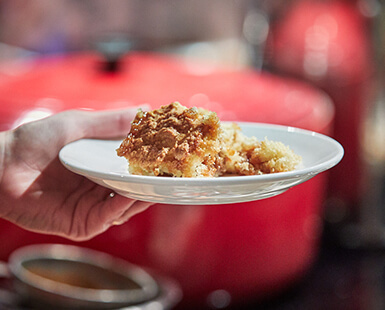 With full-length cozy coats and boots as the recommended attire, informal self-service as the rule, and every shared dish served in extra-large portions, these oh-so-casual parties are normal wintertime social events for many Hormel Foods customers. But for city dwellers, they’re an absolute revelation. A party where people hang out in puffy down, maybe? coats? How extraordinary! Chef Amy & Certified Master Chef Ron DeSantis introducing the meal. Chef Amy & Certified Master Chef Ron DeSantis approving the main course. Chef Amy chatting with the Mogler grandchildren. Chef Amy & the Mogler matriarch talking about family recipes.